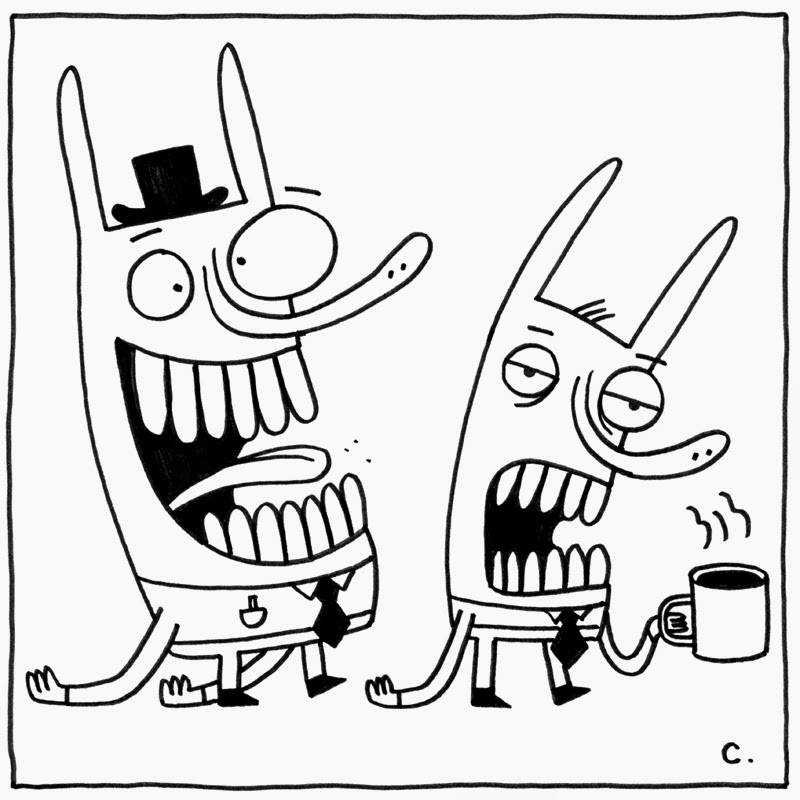 Here are a couple of monsters, Ambrose and Abbott, heading off to work...to do whatever it is that monsters do. It appears that Ambrose had his fill of coffee before he left the house. The same cannot be said of Abbott. Ambrose is caffeinated. Abbott is non-caffeinated.